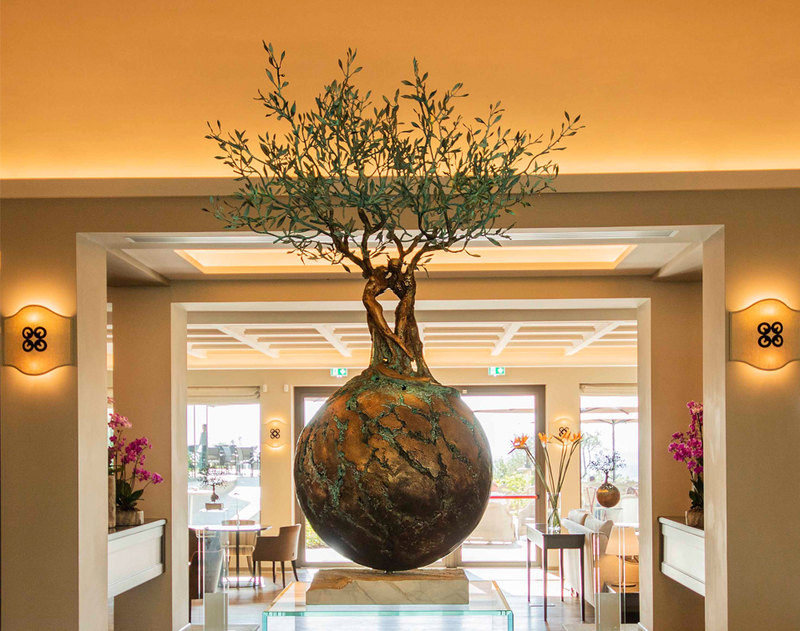 The Circle of Life is a temporary exhibition of Italian sculptor Andrea Roggi — one of the most appreciated artists on the Italian art scene — born from the collaboration between The Circle of Life Art Gallery and Toscana Resort Castelfalfi. 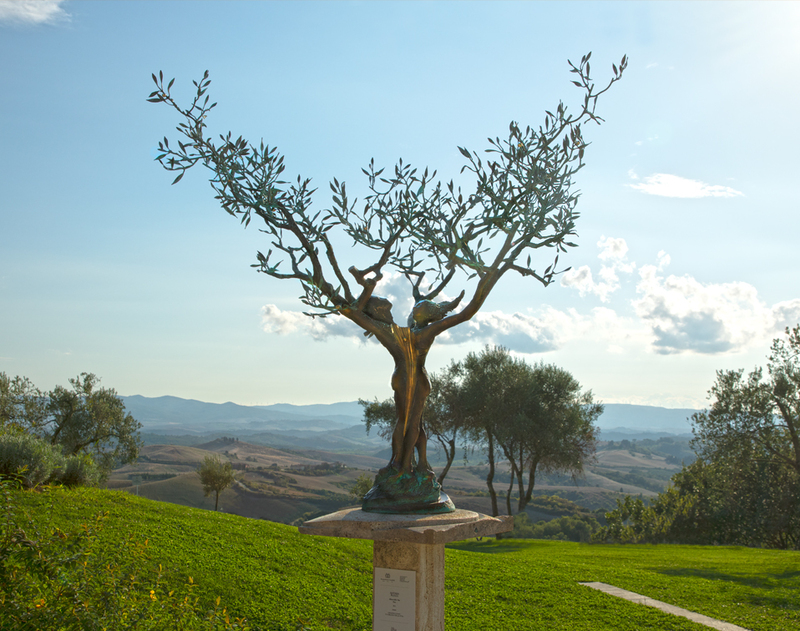 The six bronze artworks placed in the charming spaces of the Tuscan resort weave an artistic path capable of offering a renewed look on the original architectures of the resort and on the marvellous landscape surrounding them. 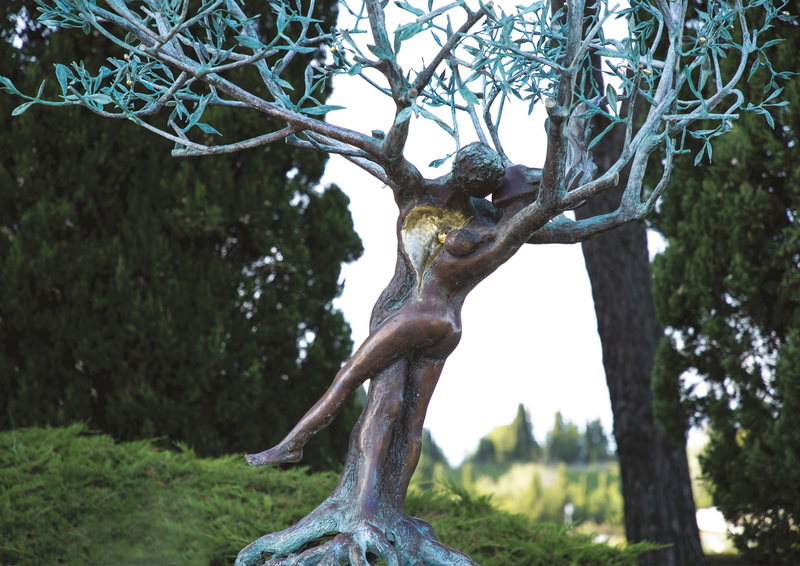 The Circle of Life, represented by the golden sphere ever-present in all his works, encapsulates the meaning of Andrea Roggi’s artworks, it is the primordial essence of our life, the regenerative element of humanity, on which we depend and to which we are irresistibly drawn. 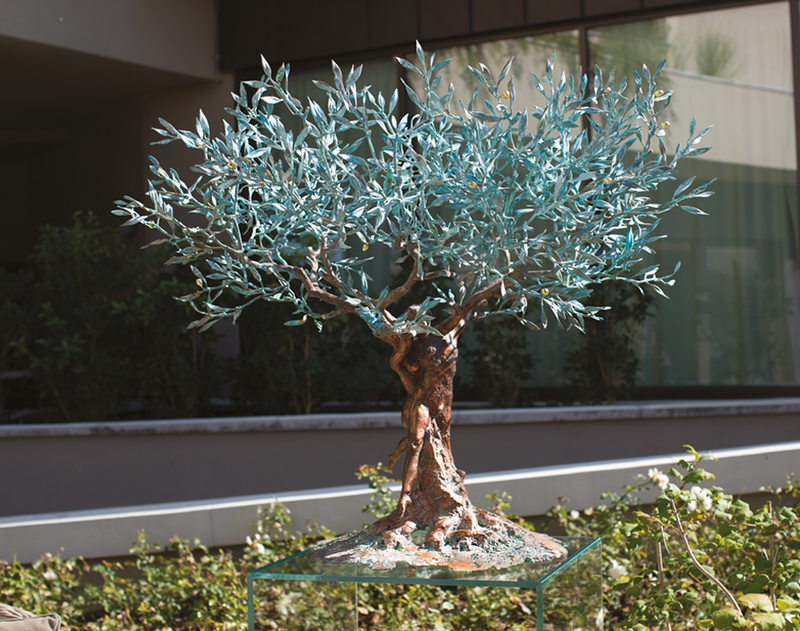 The exposed sculptures revolve around one of Roggi’s privileged themes, that of the Tree of Life, which dates back to the classical tradition and sees in the olive tree the emblem of solidity, roots and peace.